CLEAN CARFAX/NO ACCIDENTS REPORTED, SERVICE RECORDS AVAILABLE, REMAINDER OF FACTORY WARRANTY, BLUETOOTH/HANDS FREE CELLPHONE, 2 SETS OF KEYS, BACKUP CAMERA, REMOTE START, and ONSTAR. Bose Premium 7-Speaker Audio System Feature. Who could say no to a simply outstanding SUV like this stunning 2016 Chevrolet Trax? It will take you where you need to go every time...all you have to do is steer! 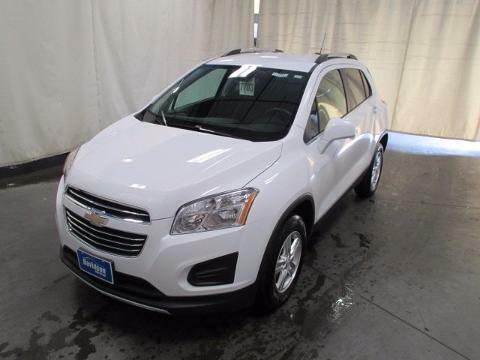 This Trax is nicely equipped with features such as 2 SETS OF KEYS, BACKUP CAMERA, BLUETOOTH/HANDS FREE CELLPHONE, Bose Premium 7-Speaker Audio System Feature, CLEAN CARFAX/NO ACCIDENTS REPORTED, ONSTAR, REMAINDER OF FACTORY WARRANTY, REMOTE START, and SERVICE RECORDS AVAILABLE. ALL PREOWNED VEHICLES COME WITH A DAVIDSON 90 DAY LIMITED WARRANTY! SEE DEALER FOR DEATAILS.